Episode 8 of the Khandaan Podcast features Chandramukhi (1993), starring Sridevi as a celestial being and Salman Khan as her child lover. An uncomfortable mish-mash of Tom Hanks’ Big by way of Telugu blockbuster Jagadeka Veerudu Athiloka Sundari, starring Chiranjeevi and Sridevi, this little viewed film was a disaster at the box office – surprising none of us. This week we are joined by guest host Tanvi from the MovieWalaPod in the absence of Sujoy, who is off launching a new career as Instagram model. Asim, Amrita and Tanvi all agreed that this was hands down the worst movie they have had to watch for a podcast, featuring: graphic child abuse, a pedophiliac alien, ALL the bad guys, and incredibly shoddy production values. We also discuss other movies that released the same year, notably Darr, and Asim requested an anthropology lesson regarding the finer techniques of dancing for Shiva, thereby exposing Tanvi and Amrita as Bad Indians. Thanks, Asim. For a more appreciative review of Chandramukhi’s nonexistent charms, we recommend Beth Watkins’ much more patient article. In the meantime, Asim would like you to know this is not Chand ka Tukda, the other Sridevi-Salman starrer with much better music. We would love it if you can rate or write us a small review on iTunes! 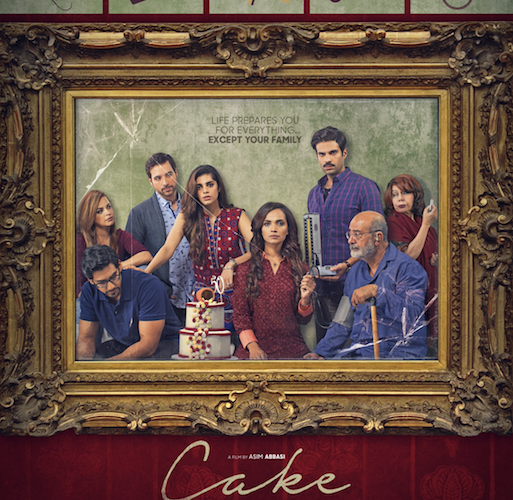 We catch up with Asim Abassi director of the Pakistani film Cake releasing in UK theaters on the 29th of March. Asim talks to Asim if there is an actual revival of Pakistani cinema, claiming a cinematic identity and “gola-ganda” cinematography. Subscribe to our new feeds and share if you like what you hear! Episode 7 of the Khandaan Podcast finds co-hosts Asim, Sujoy and Amrita reunited to discuss Paheli (2005), starring Shahrukh Khan in a double role, Rani Mukherjee and a whole host of cameos from Juhi Chawla to Amitabh Bachchan. This Red Chillies Entertainment film was directed by Amol Palekar, the everyman of yesteryears’ parallel Hindi cinema, and was even India’s official entry to the Oscars for its year. 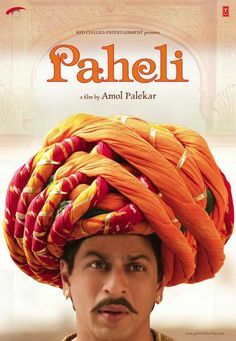 Based on a short story about a bride and the ghost who loves her, Paheli made a lot of right noises about women’s empowerment and the right to choose. More than a decade on, we examine how those messages hold up. Sujoy declares Paheli the best film we have watched on this podcast thus far, while many of our listeners call it their favorite film, but Asim and Amrita play spoilsport. We also take a moment to discuss the passing of cinema legend Sridevi and the recent Bollywood release, the rather controversial hit Sonu ke Titu ki Sweety.